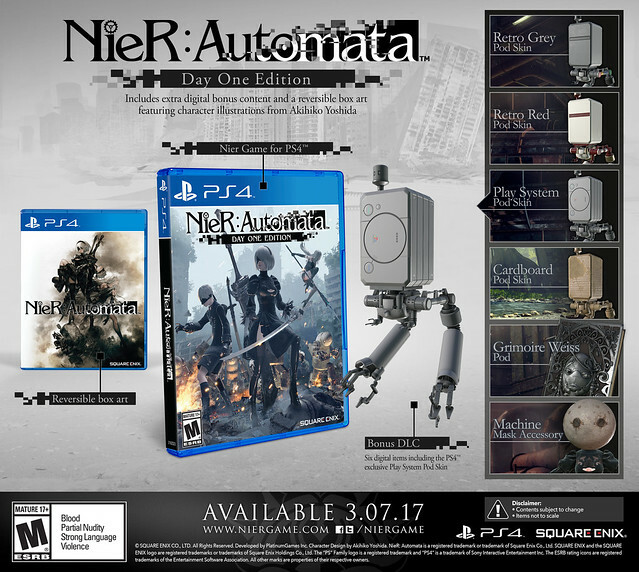 Square Enix is proud to announce that Nier: Automata is coming to PS4 on March 7, 2017! For fans eager to get their hands on the game, we’re happy to announce a consumer demo will be available for free download on PSN soon! That’s right, players will soon be able to annihilate hordes of invading machine lifeforms in order to retake the planet. The goodies don’t end there, though. 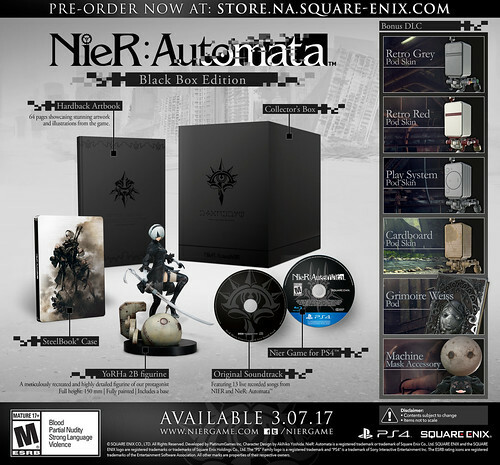 For those who are now in the Nier: Automata spirit, we have information on the “Black Box Edition” and Day One Edition for PS4 below! A fresh take on the action-RPG genre, Nier: Automata is being developed in collaboration with PlatinumGames Inc. and gracefully blends mesmerizing action with a captivating story. The adventure is centered around androids 2B, 9S, and A2, and their battle to reclaim the machine-driven dystopia overrun by powerful machine lifeforms.